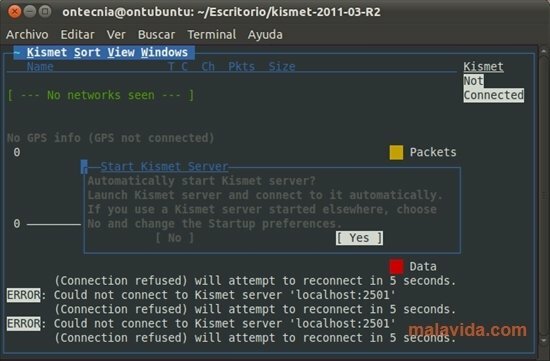 Kismet is a Linux tool which will allow you to know the security level of your Wi-Fi network and if your configuration is correct. 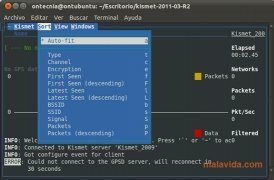 It is a sniffer, in other words, a wireless network detector, that can also detect intruders on your network. 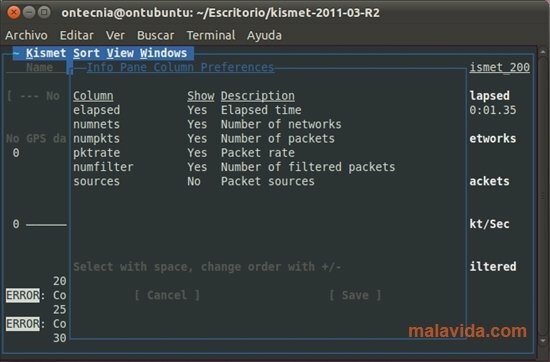 Kismet works with 802.11 wireless networks and it is differentiates from other similar applications in the fact that it doesn't send any package that can be detected. Helps you detect all the access points that you have within your range. 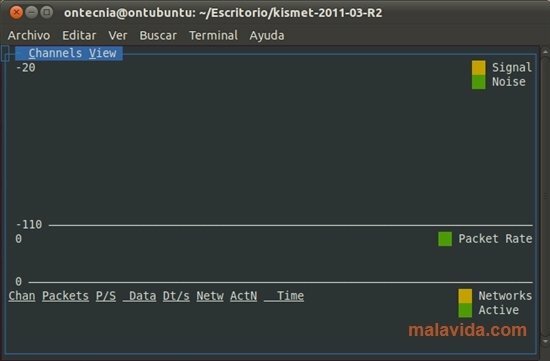 It also detects other networks that can cause interferences with your own. 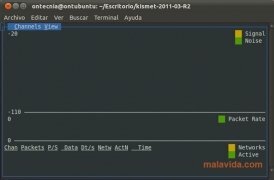 You can find out if your network's configuration is ideal. 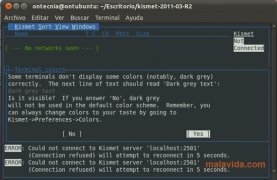 Kismet is divided into three parts: the probe gathers packages that are sent to a server so that it interprets and organizes them. And last of all, the client communicates with the server and shows all the information that the server gathers. 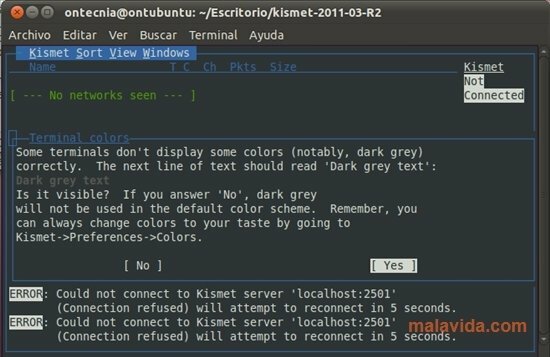 Once you have Kismet working you will be able to see encrypted networks in green and the open networks in yellow on the interface. By means of various keys you will be able to obtain a large amount of information about the networks. 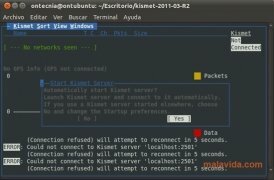 Download Kismet for free and get useful information about the Wi-Fi networks that you have around you. Information on installing and configuring the application is available here.